Rugby player who is known for his career in both Australia and France. 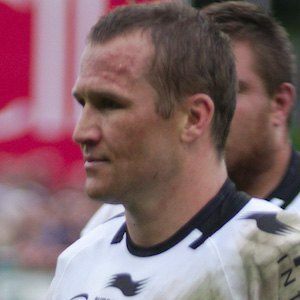 In 2015, Giteau's Law was passed with his name attached to allow Australian rugby players who spend their seasons overseas to play for the national team. He attended St. Edmund's College, Canberra. He made his professional rugby debut in 2001 for the Canberra Brumbies. In 2015, he scored his 30th international try during that year's Rugby World Cup. His team eventually lost to the New Zealand All Blacks in the World Cup Finals. His father, Ronald, and older sister, Kristy, have also both played professional rugby in Australia. He has played alongside Drew Mitchell for the French rugby club Toulon.